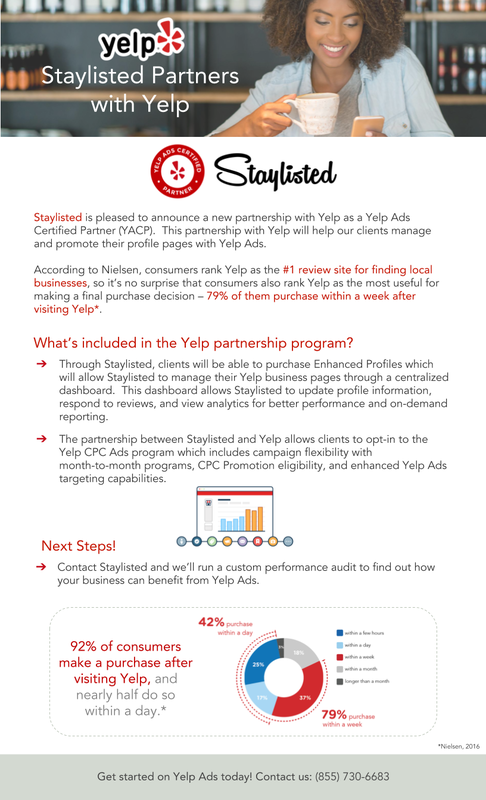 We’re excited to announce that Staylisted is a Yelp Ads Certified Partner. We’re now able to support and manage Yelp Ads campaigns for all of our clients - both large and small. - Cost-per-click advertising is performance-based, so you pay when Yelp users click on your ad. - The Enhanced Profile upgrades your Yelp Business Page, so you’re able to add a call-to-action button, a photo slideshow, and more to your page. 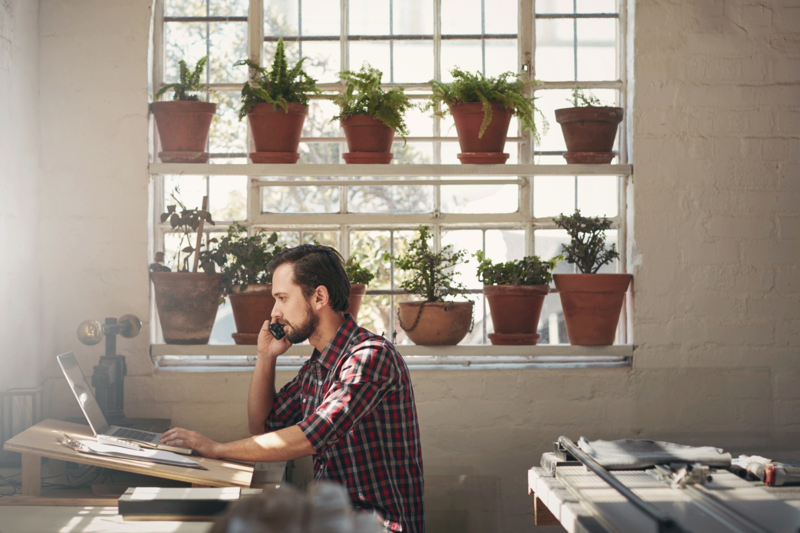 Yelp Ads work for businesses across categories - everything from realtors to auto dealers to plumbers, and more! Check out our local and national success stories. You don’t need a lot of reviews to see success from Yelp Ads. Yelp Ads is a real solution to finding interested customers when they're ready to make a purchase and Staylisted is excited to be able to help our customers leverage this lucrative ads platform. Whether you're interested in learning more about how Yelp Ads works or you're already using Yelp Ads and you have questions, we're happy to help! 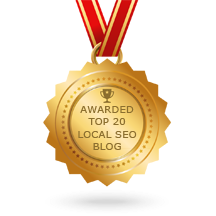 **Methodology Results from 29,836 Yelp Advertisers in the US. Analysis of customer leads was measured from the month prior to advertising, to the 12th month of the advertising program.